If you ever been to a warehouse club like BJ’s or Sam’s Club, you’ve probably seen their freezers stuffed full of dozens of convenience food choices, priced mostly around $10. 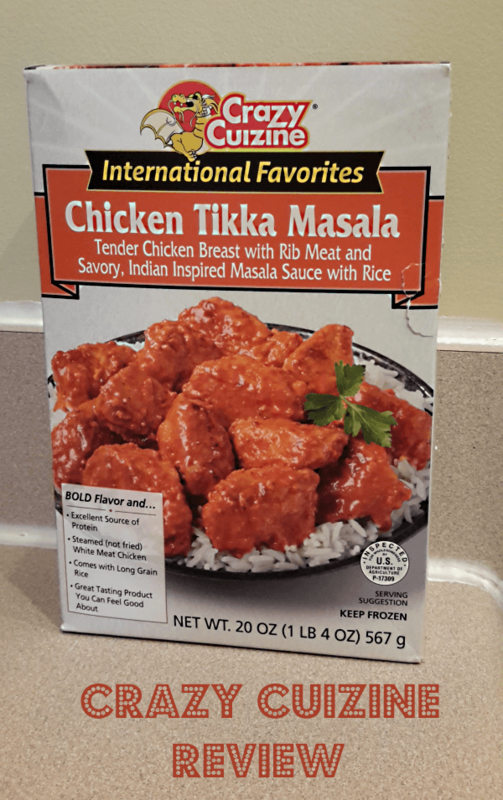 These frozen foods have vastly improved over the past decade or so, and Crazy Cuizine is one you may want to look for. It’s hard to make a family meal with meat, poultry or seafood for less than $10, which makes these meals even more tempting, aside from the fact that they’re tasty and ultra-quick to prepare. You can add a bag of veggies to the meal, and sometimes one box isn’t enough for the family, depending on how many people you have and how much they eat. 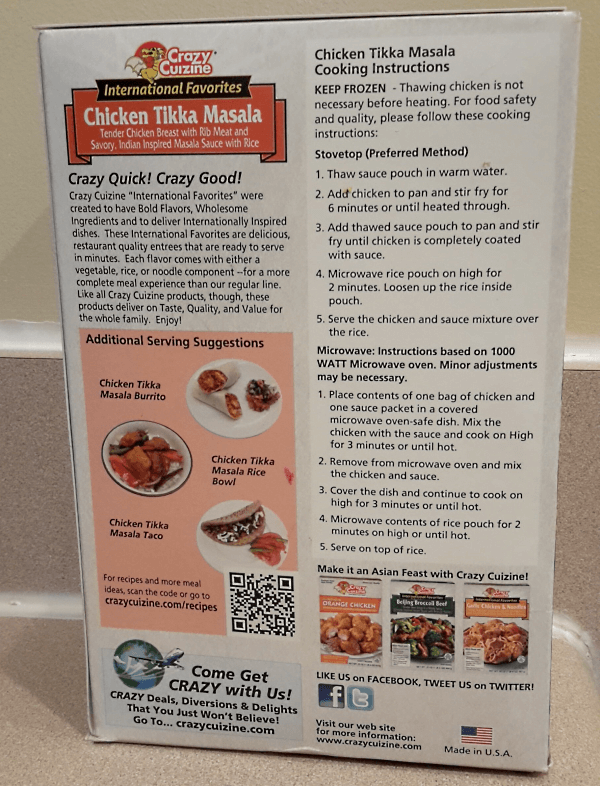 Each Crazy Cuizine box contains four 5-ounce servings, and their Asian-inspired frozen meals prepare in minutes with little effort. 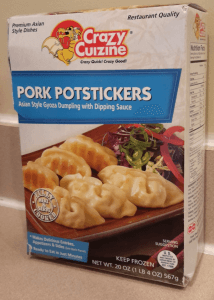 My 6-year-old especially enjoyed the Pork Potstickers. She devoured as much as her little stomach would hold and kept asking for more. They tasted wonderful with or without the sauce that came with them. 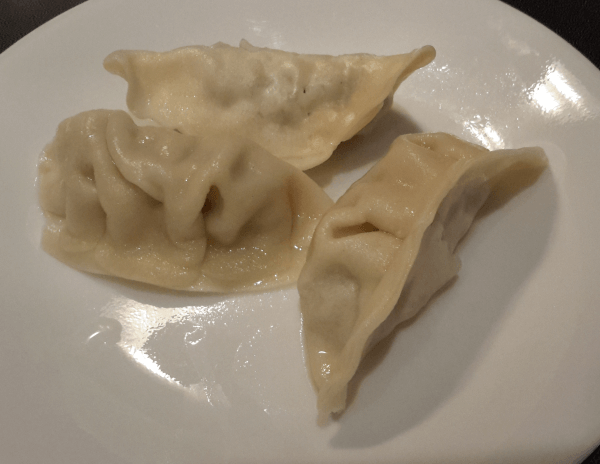 Potstickers are similar to wantons and use the same wrappers. You can make them in various ways, and I chose microwaving them for 5 or 6 minutes. We also enjoyed the Mandarin Orange Chicken. It also went quickly from freezer to family meal, with only a few minutes of prep time and 15 minutes baking in the oven. 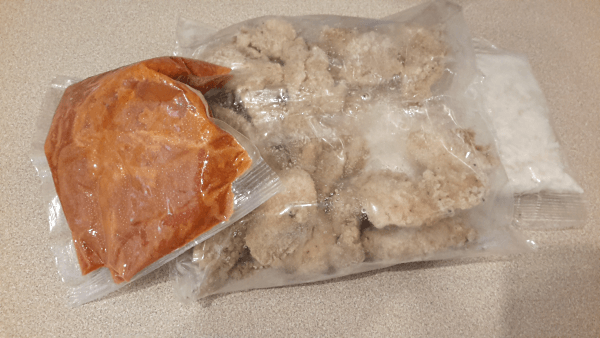 You can mix the chicken with the included orange sauce or use the sauce for dipping, but the chicken breast pieces are delicious without it, too. They’re crunchy on the outside while moist and tasty on the inside. The Chicken Tikka Masala also tasted fantastic. The meal comes with boneless chicken pieces, sauce and white rice. You may want to add more rice along with a bag of veggies to complete the meal. To prepare, simply sautee the chicken pieces, microwave the rice packet and thaw the sauce over running hot water. Combine the sauce with the chicken, and serve over the white rice. Convenience foods make a great substitute for drive through fast food. They cost less and generally contain less fat and fewer calories. Crazy Cuizine meals have about 220 to 260 calories per serving, with about 7 grams of fat. 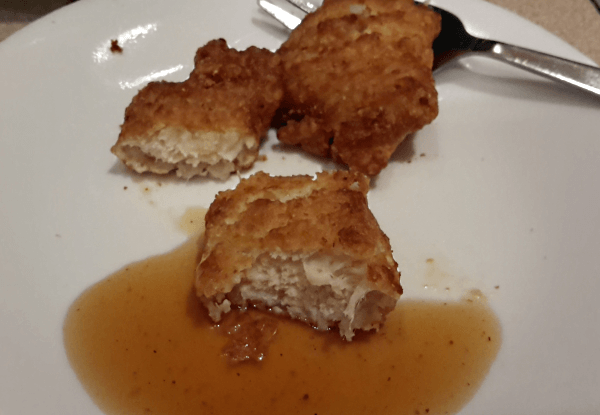 For comparison, a Wendy’s kids’ meal four-piece chicken nuggets contains 230 calories and 13 fat grams. Then there are the 230 calories and 10 fat grams in the accompanying French fries. A fast food meal for the family will easily set you back north of $20, too. 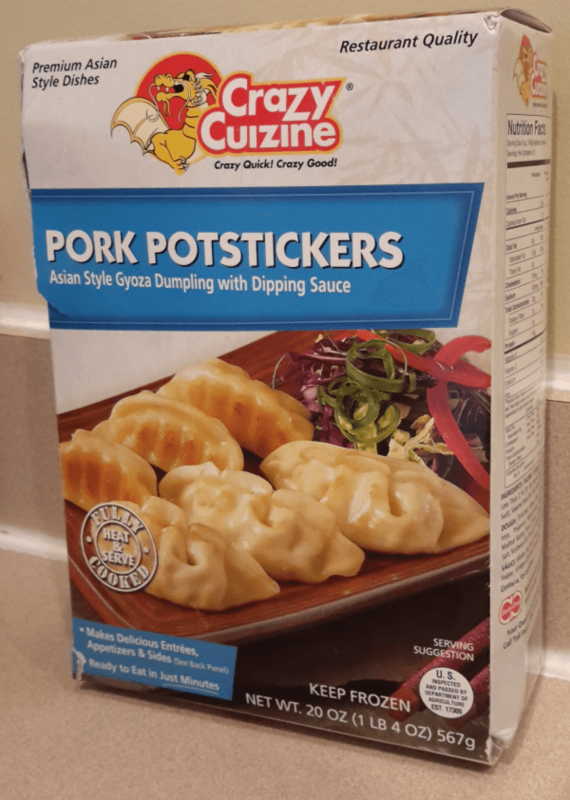 Crazy Cuizine offers a variety of Asian-inspired frozen convenience foods. 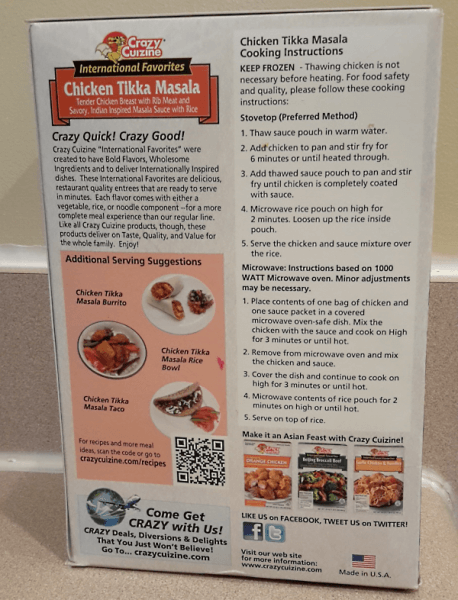 You can pick up Crazy Cuizine at most BJ’s and Costco stores nationwide, plus, Sam’s Club now sells Crazy Cuizine’s Chicken Tikka Masala. I received sample products for use in this honest review. Amazon Blog Giveaway Ends 2/19: Win a $500 Gift Card!